The countdown to our 2018 World Water Monitoring Day on September 18 has begun! This annual event provides a unique opportunity for communities across the globe to connect to their local water resources, through water quality monitoring and by taking action to protect their local waterways. This year, our EarthEcho team will join our partners at Friends of the Chicago River to celebrate World Water Monitoring Day in Chicago on Tuesday, September 18. Friends of the Chicago River is the only organization solely dedicated to the Chicago River system and has been working to improve the health of the Chicago River watershed since 1979. Their work has laid the foundation for the river to be a beautiful, continuous, and easily accessible corridor of open space in the Chicago region. Our World Water Monitoring Day event will unite students from throughout the region who are engaged in the Chicago River Schools Network program. 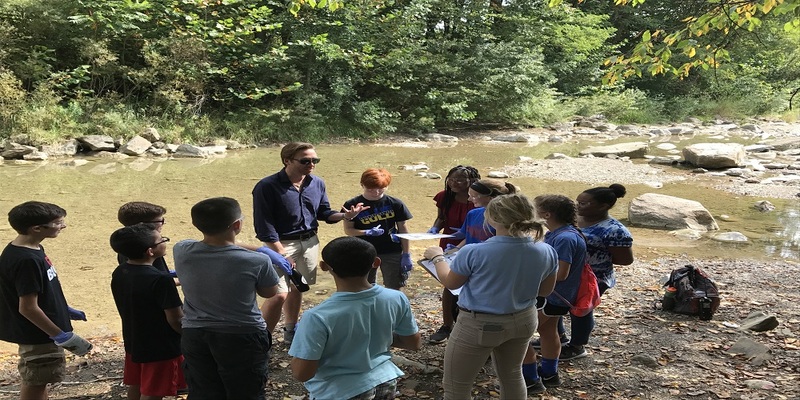 The Chicago River Schools Network provides K-12 teachers with the training and personalized assistance they need to take their students on an adventure into the turbulent history, evolving ecology, and improving health of the Chicago River. Students investigate real world issues and create service learning projects that work to solve everyday problems facing the Chicago River. Through this year’s event, student participants will join EarthEcho International founder Philippe Cousteau Jr. and the EarthEcho team, Friends of the Chicago River, and Xylem Watermark volunteers to learn more about the water quality of the Chicago River. Students will then share the lessons they learn with the Chicago community to inspire action to protect this important urban watershed. In addition to this featured event, EarthEcho Water Challenge participants, partners, and our Water Challenge Ambassadors will take action around the world, leading events and programs to monitor water in their local communities. Young citizens will work to take ownership of the water conservation challenges found in their own backyards. Stay tuned for more updates as we prepare to celebrate World Water Monitoring Day 2018!